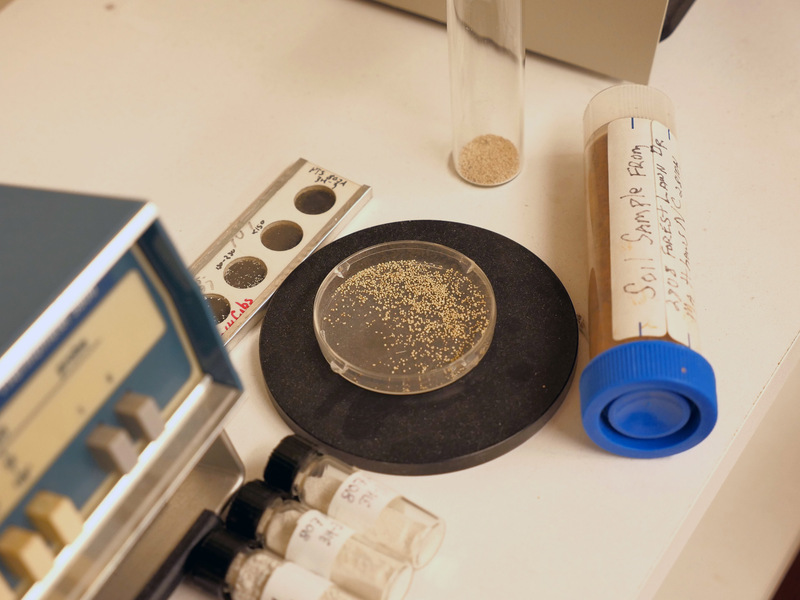 UM researchers are examining ocean sediments that hold the key to unraveling ancient climate changes. Rising sea levels are already impacting coastal communities with increased flooding and more frequent and severe storms in Florida, and across the world. For University of Miami Rosenstiel School of Marine and Atmospheric Science professor of marine geosciences Larry Peterson the key to predicting the future of sea-level rise and other climate changes lies in the past. Using the natural archive of climate preserved in ocean sediments, Peterson has helped to link the collapse of the Mayan Empire to the onset of large-scale drought, in addition to many other fundamentally important discoveries about Earth's natural history. His work and that of others at UM are helping to understand the future impacts of climate change and sea-level rise before it's too late. Peterson has spent more than two decades studying ancient climate and sea-level changes preserved in sediments in a small basin off the coast of Venezuela in the Caribbean. In the Cariaco Basin limited water circulation and a continuous rain of organic material from high phytoplankton productivity at the surface combine to create an undisturbed and oxygen-free environment in the deep basin, offering scientists one of the best-preserved climate records. 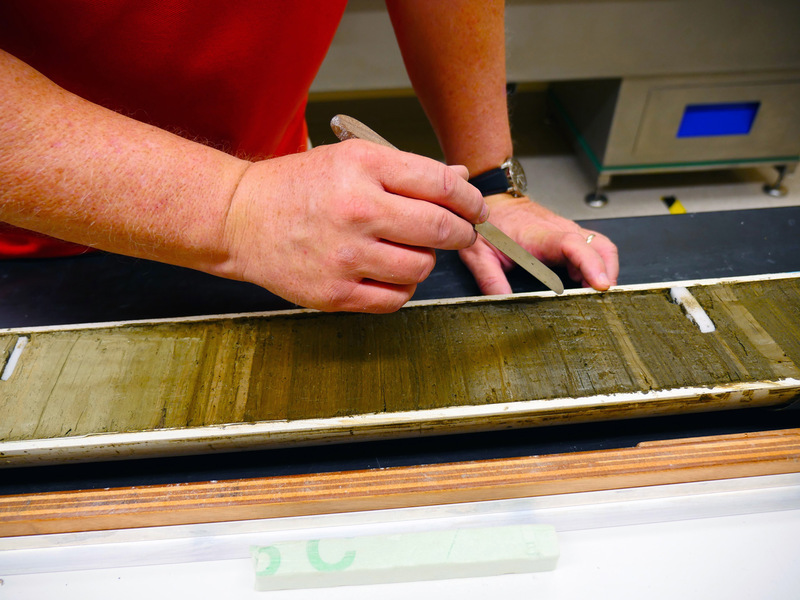 Rosenstiel marine geosciences professor Larry Peterson works with a student to study ancient climate change by observing a sediment core. Microscopic marine zooplankton called foraminifera have rained their skeletal remains down on the basin floor for over a million years, encapsulating the climate and ocean conditions during their short lifespan in their tiny shells. 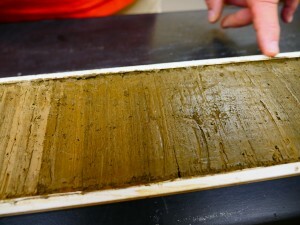 Peterson describes the fine layers of sediment found in Cariaco Basin as the ocean equivalent of tree rings, where reconstructions of past climate can be made on a yearly time scale. Ice core records from Greenland were the first to show evidence of large, abrupt temperature changes during the last ice age and during the time period after sea levels rose rapidly. At first believed to be limited to Greenland, Cariaco Basin was the first location in the ocean to show clear evidence that these same abrupt climate events could be traced as far away as the tropics. "Cariaco Basin provides one of the few marine records on Earth with a high enough resolution to see abrupt climate events," says Peterson. It is now known that abrupt climate changes, which occur over the span of years to decades, affect regions very differently. Tap or double click any photo to start the slideshow. Much of Larry Peterson’s work has been conducted off the Cariaco Basin off the coast of Venezuela in the Caribbean. 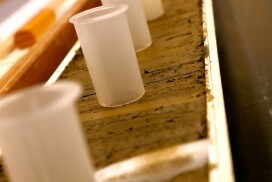 A sediment core. UM Professor Larry Peterson has spent decades studying sediments to learn about ancient climate changes. A close up of foraminifera. 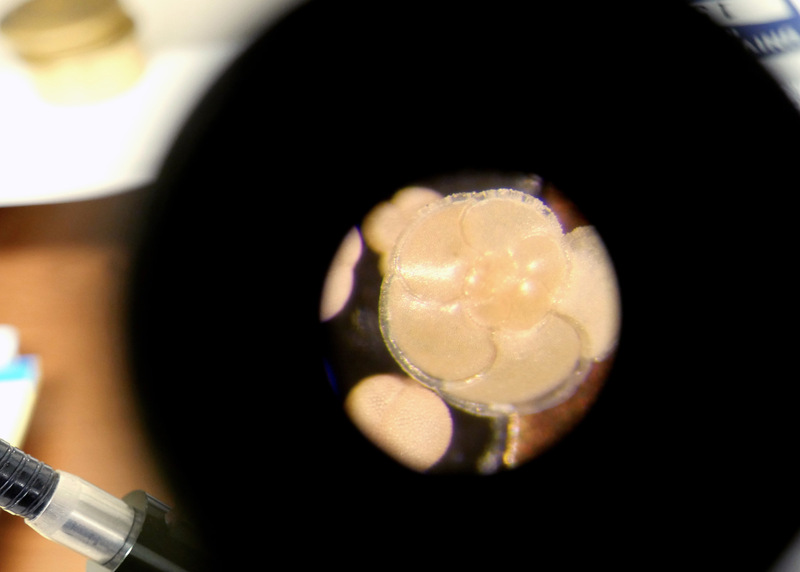 Foraminifera, a shelled organism, in a dish ready for examination. UM Geosciences Professor Larry Peterson looks to the past to help determine future climate changes. 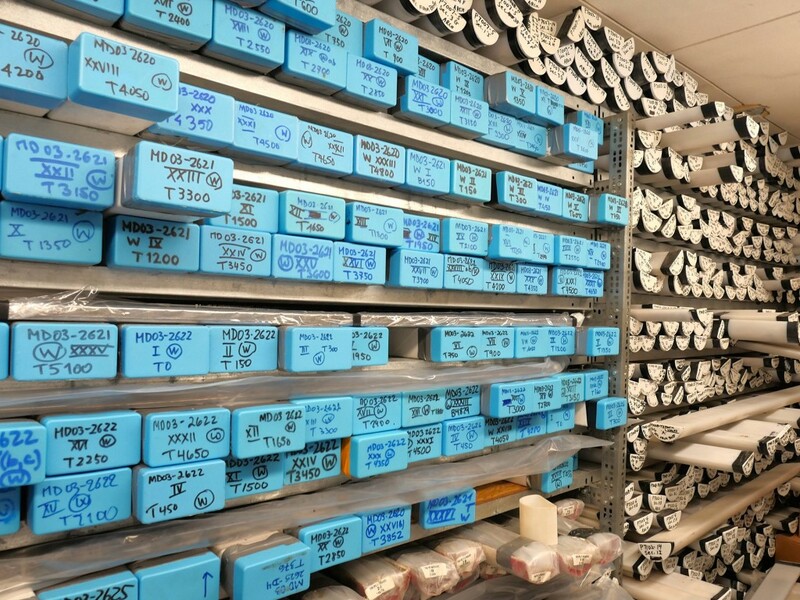 Here, core samples are stored for analysis. In the tropics, one of the largest climate signals is in the distribution of rainfall, a pattern strongly impacted by the Intertropical Convergence Zone (ITCZ), an area near the equator where the trade winds from the two hemispheres converge. Scientists refer to it as the meteorological equator, because the convergence of winds and the rising of air produce the precipitation along the tropical rain belt. Peterson's work in the Cariaco Basin showed that changes in the strength and position of the ITCZ are directly linked to the abrupt climate changes observed in Greenland. During the coldest intervals of the last glacial period, Cariaco and northern South America were dry as the ITCZ was positioned further to the south. When Greenland abruptly warmed, the ITCZ shifted north and the rain belt shifted with it, leaving a record of river-delivered sediments in Cariaco Basin. This pattern of abruptly shifting precipitation has been further confirmed by studies of other locations throughout the tropics. "Understanding how climate systems are linked and the timescales of change are critical to predicting future climate change impacts," says Peterson. This is especially true when it comes to water. Some areas will become much drier, while others will become much wetter, both of which affect agriculture and water supplies—raising a host of societal and public health concerns. 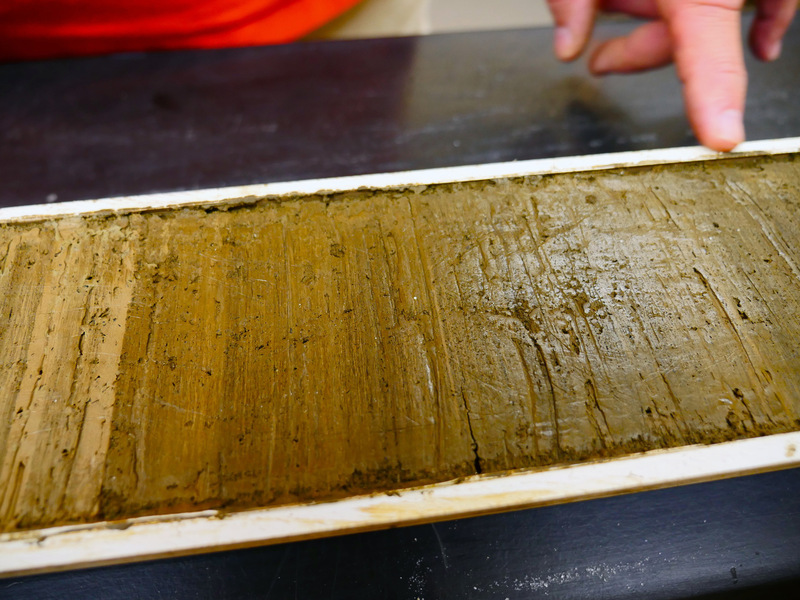 The finely layered sediments of Cariaco Basin are atypical of most marine sediment records in that they provide the resolution necessary to see historical events. An analysis by Peterson and colleagues using a specialized geochemical core scanner revealed that the Caribbean region got very dry in the decades around 900 A.D., coinciding with the time when archeologists say the Mayan civilization of the Yucatan Peninsula collapsed. Rosenstiel School assistant professor of marine geosciences Ali Pourmand and Ph.D. student Arash Sharifi have since used the high-tech core scanner in Peterson's paleoceanography lab to study sediment cores from the Fertile Crescent to reveal similar findings that some of the earliest civilizations on Earth may have been impacted by abrupt drought and climate change. Amy Clement, Rosenstiel School atmospheric sciences professor and a frequent collaborator with Peterson, uses the paleoclimate record to understand the dynamics of natural climate behavior. A main research interest of hers is to uncover details of past climates to learn about future climate, and to improve current climate models. 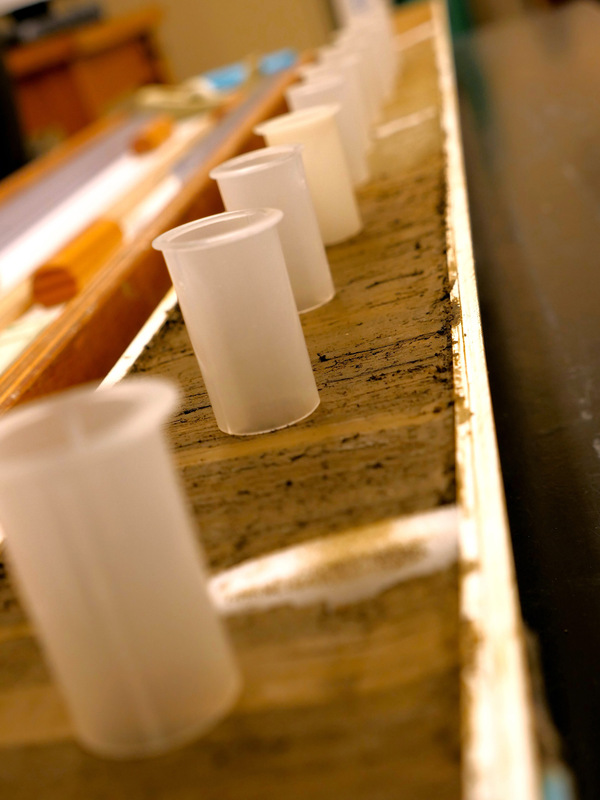 "By understanding the factors that control the earth's climate in the past we can have more confidence in our projections of future climate," says Clement, who uses the paleoclimate records in sediment cores to verify the climate models she develops to predict future climate changes. More recently Peterson has begun work analyzing sediment cores from the Sea of Japan, a location where climate changes related to the East Asian monsoon can be unraveled from the sediment's natural history. "The earth has done a series of natural climate experiments in the past for us, from which we can learn," says Peterson. "These are all pieces of the bigger puzzle to understand how climate change will impact our planet in the future."